Get a free 2-year subscription for 2 different Subaru magazines - Drive and Drive Performance! 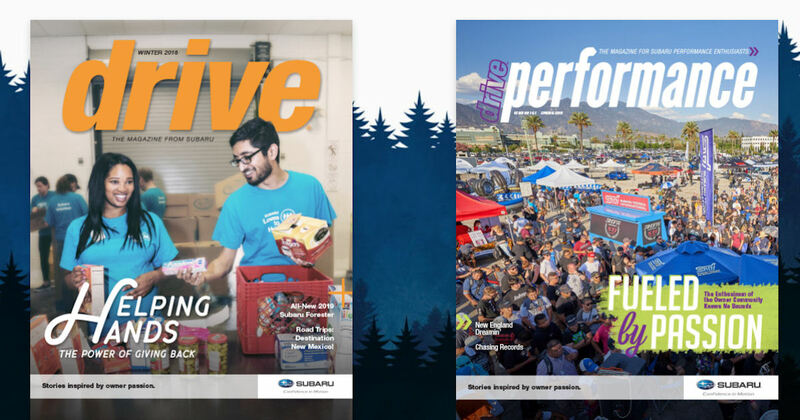 Complete the free subscription request form, check the boxes next to the magazine(s) you'd like to receive and submit to start your free 2-year subscription to 1 or both of the magazines from Subaru! Please allow 4-6 weeks for delivery of your first issue(s).